What Technicians need to know about electric fuel pump types, application, operation and testing, on petrol and Diesel vehicles. We all know the importance of fitting an electric fuel pump on a vehicle that satisfies both fuel flow and fuel pressure requirements for the vehicle. The fuel pressure and flow will be determined by the fuel system fitted to that vehicle model. Knowing what type is fitted to the vehicle will assist the technician if fault diagnosis is required. 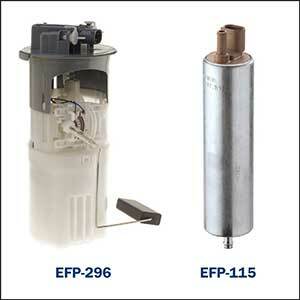 Electric Fuel Pumps for Carburettor Applications . May be in tank or external in-line. 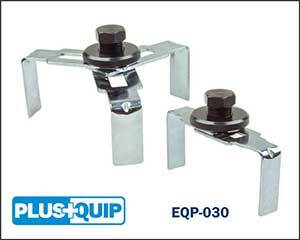 May be low pressure (3 -5 psi) – standard or high flow. May be higher pressure (5 -9 psi) – standard or high flow. Turbo application require higher flow. Note: Replacing with an incorrect fuel pump will result in insufficient fuel supply to carburettor or needle and seat remained open due to high pressure causing engine excess fuel supply. Beware Fuel pumps may look similar but vary in specifications. Throttle Body Injection (CFI) Systems. Require a regulated fuel pressure between approx. 1 - 2 bar. Note: The fuel pump may resemble a higher-pressure unit and it is essential to utilise correct catalogue part number applications. 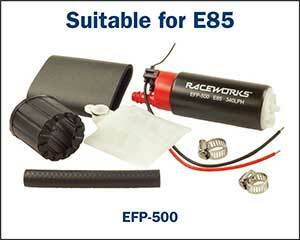 EFI Primer Pump (may be called a pre-pump or lift pump in the trade). This fuel pump is generally located internal of the fuel tank as the main supply pump is generally located externally. A faulty pre- pump will not generally prevent the vehicle from starting but should be repaired ASAP to prevent other component damage and to ensure correct system operation. Main fuel pumps for most conventional EFI systems are generally located in tank and will vary in specifications depending on the fuel system fitted to the vehicle. Varying system pressures, engine capacity and any engine modifications for increased power output as well as the type of fuel used all determine the required fuel pump type and specifications. Positive Displacement types – Very limited self-priming and should be mounted below the liquid level of the fuel tank and has a maximum suction height of 500mm. Sliding vane type – Positive displacement pump. Toothed ring type – Positive displacement pump. Screw type – Positive displacement pump. Roller cell type – Positive displacement pump. Note: Specific Ethanol use fuel pumps are manufactured to ensure the fuel pump expected service life is not reduced as would be with a conventional EFI pump used with Ethanol fuel. For supplying main mechanical supply pump. The Diesel primer pumps may be either an in-tank pump assembly with strainer, filter and fuel level sender unit or an externally mounted primer pump with an in-tank located strainer, and fuel level sender unit assembly. The pressure requirements for the primer pump on a CRD or Direct injection petrol system (supplying the main mechanical pump) vary for vehicle make and model and are generally similar to the main fuel pump regulated pressures of a conventional EFI system. Supplying the main mechanical fuel pumps with the correct fuel supply is essential for correct CRD and direct petrol injection operation. A no start condition is generally the result if the primer pump fails on these systems. Typical Electric fuel pump problems. Whether the fuel pump is in the tank or externally, many faults created are similar. Fuel pump locked (not spinning). Reduced pressure and fuel flow. Note: Contaminated fuel generally results in a “Not approved” claim when a fuel pump is returned for a warranty claim. Faults caused by poor electrical connections, power supply and circuitry. Poor fuel pump connections either in tank or external generally result in intermittent loss of fuel pressure and stalling. Faulty relays also create an intermittent or continuous loss of fuel pressure and stalling or no start. Internal electrical faults in the fuel pump may cause lower pump RPM with reduced engine power or a no start condition if fault is excessive. ECU faults generally result in a no start condition. Check valves used to prevent fuel draining back to the tank when the engine is switched off can fail causing extended cranking period before engine restarts. A pressure gauge can quickly test for this condition by checking for losses in residual pressure when the engine is switched off after a period of running. A leaking check valve has no effect on normal fuel pressure during operation. 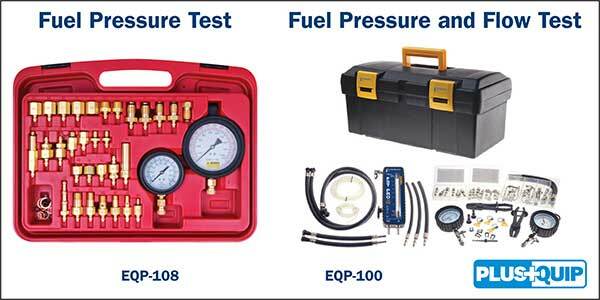 Typical test equipment required to diagnose fuel system related faults. Fuel hoses split/leaking causing lower fuel pressure. Note: Incorrectly fitting the in-tank fuel pump hoses may cause lower fuel flow and pressure with extended cranking period during engine restart. 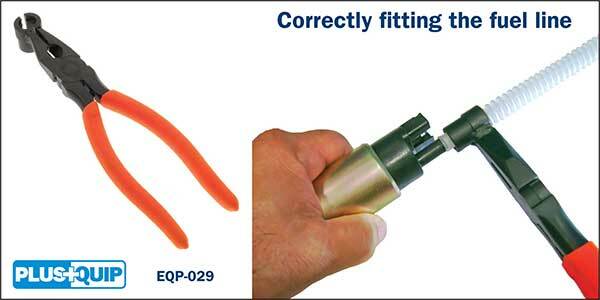 To ensure the correct hose fit when performing a pump only replacement in the in-tank fuel pump assembly, it is recommended to use the correct tool. There have been many conditions where replacing the fuel pump only in an in-tank pump assembly has resulted in multiple attempts in rectifying faults that have been created during re-assembly. Typically leaving out O-ring seals, incorrectly fitting fuel lines, fitting incorrect fuel strainer and causing physical damage to the assembly during the pump removal or refitting process. There are special tools that can assist the technician in this task to prevent housing and pump damage. The trend is to renew the complete fuel module/assembly rather than the fuel pump alone to reduce the chance for errors. When it is time to renew a complete fuel pump module assembly fitted to a plastic fuel tank, do not remove the existing assembly until the new unit is about to be fitted. If the module has been removed for a long period of time, the plastic fuel tank may warp in that area and make it difficult to renew the new unit. Removal of the module lock ring retainer is made easier and reduces housing damage by using the correct tools. Modifications to improve engine performance may require the fitting of a fuel pump with increased pressure and flow specifications. It is important to understand that increasing the system fuel pressure whilst still utilising the standard fuel pump will dramatically reduce the pump fuel flow. This may result in major engine damage due to lean mixtures. 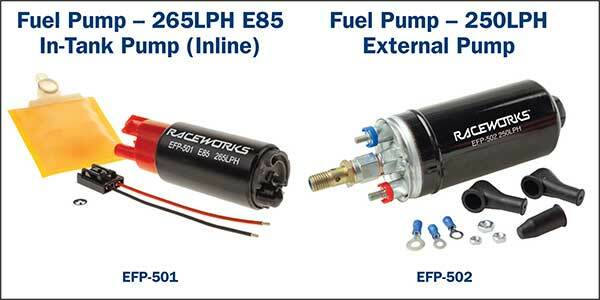 High performance fuel pumps are available and must be fitted as required. The Premier Auto Trade Fuel range includes more than 700 Fuel Pumps from the world’s leading manufacturers, covering over 12 million vehicle applications in Australia and NZ.